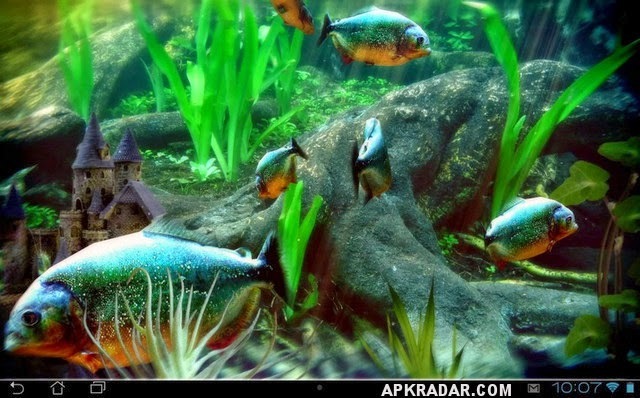 An animated aquarium live wallpaper filled with flesh-eating fish. 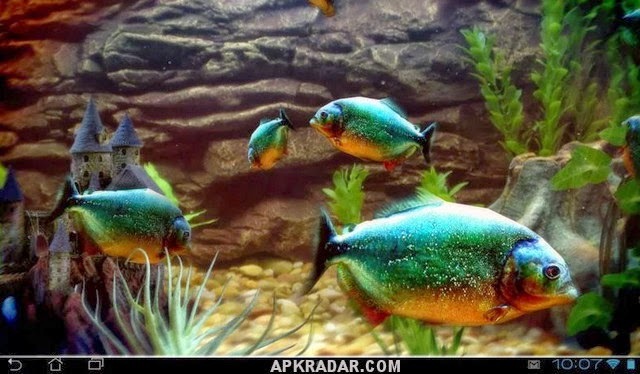 Download Piranha Aquarium 3D lwp full apk v1.0 and experience the horrific-looking piranhas right on your android device! 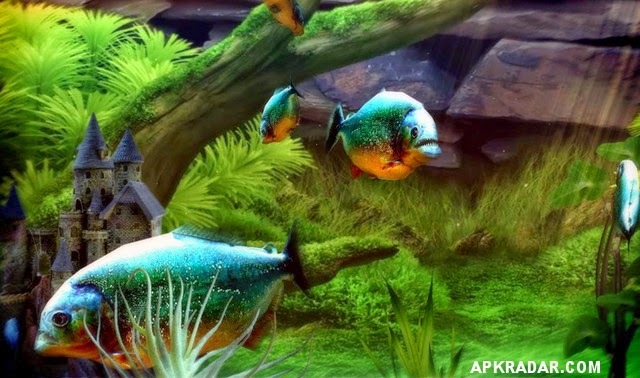 Piranha Aquarium 3D lwp made with OPEN GL 2.0 and optimized to consume low resources and also not to drain your battery.